Atopite: Mineral information, data and localities. From the Greek ατοπος for "unusual," in allusion to its rarity. Stibiconite Group. It is probably identical with "roméite," but contains sodium in substitution for calcium and contains fluorine, unlike roméite in its older definition. Palache et al. (1951) considered it a Na-bearing variety of roméite. 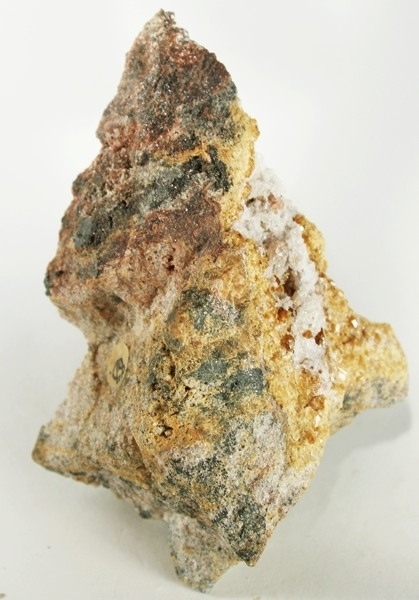 Compare fluorcalcioroméite. Originally reported from Långban, Filipstad, Värmland, Sweden. Nordenskiöld (1877) Geologiska Föeningens I Stockholm. Förhandlinger, Stockholm: 3: 376. Rose (1919) Centralblatt für Mineralogie, Geologie und Paleontologie, Stuttgart: 268 (dispersion). Palache, C., Berman, H., & Frondel, C. (1951), The System of Mineralogy of James Dwight Dana and Edward Salisbury Dana, Yale University 1837-1892, Volume II. John Wiley and Sons, Inc., New York, 7th edition, revised and enlarged, 1124 pp. : 1020-1022. Palache, C., Berman, H., & Frondel, C. (1951), The System of Mineralogy of James Dwight Dana and Edward Salisbury Dana, Yale University 1837-1892, Volume II: 1021.